You might say that Jonathan Sebastian was the perfect combination of ahead of the times and behind the times when he began his online retail company, Lunar Lounge, selling 1940’s-1960’s inspired furniture in 2001. This was a time when the Internet was fairly new and the online shopping industry was basically non-existent. “My friends and family all thought I was crazy when I told them that I was going to be selling coffee tables on the Internet!” he says. Lunar Lounge has now taken 16 trips around the sun, and the company’s designs have caught the attention of celebrities and been featured in national events. His appreciation for this era of furniture design came to light (literally) when he discovered a swag ball lamp in his parents’ basement and started researching other styles of furniture from that time. His hunt began; scouring local vintage shops for other pieces from this era, but he had little success. This inspired him to try and build this style of furniture on his own. 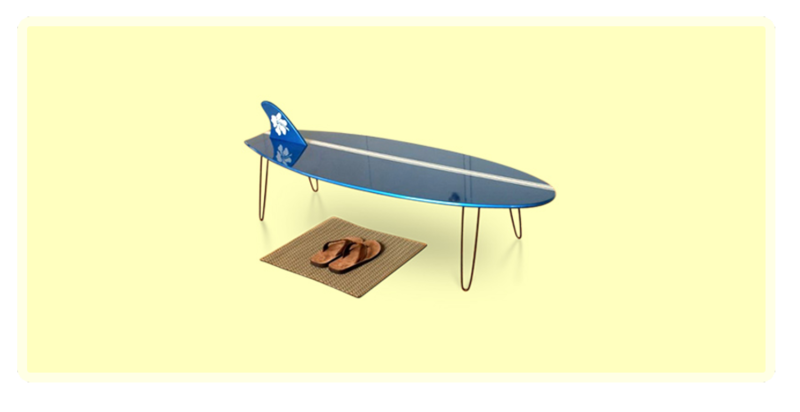 Based on their shared interest in the California surf culture, a friend of his suggested designing a surfboard coffee table. After searching for pre-existing surfboard coffee tables online and not finding anything quite like he was planning, Jonathan decided this would be the first piece he would attempt. The business has been skyrocketing ever since. 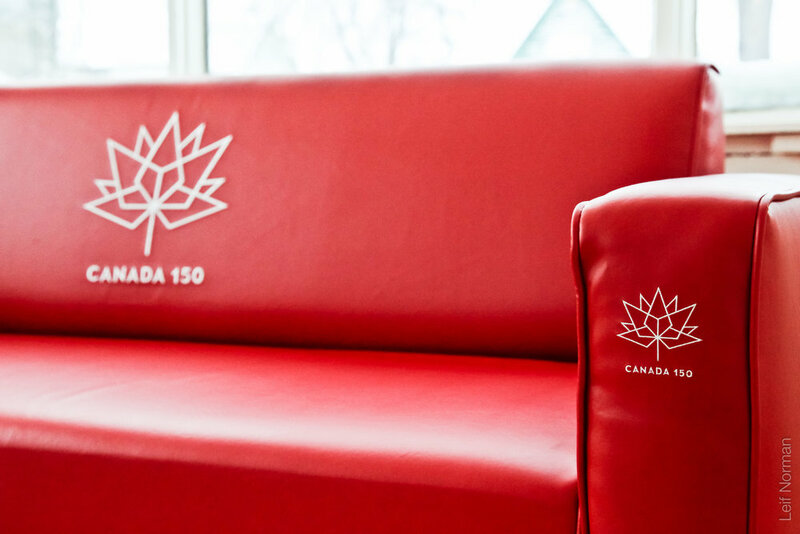 This year, Jonathan was commissioned by the Department of Canadian Heritage to design and build the Canada 150 Red Couch for the Canada 150 Red Couch Tour. It was a countrywide road show giving Canadians the opportunity to sit on the Red Couch and be filmed while sharing what Canada means to them. The event was part of the Federal Government of Canada’s initiative to build pride in our country for the 150th anniversary celebration. The clips of people sharing their sentiments while sitting on the couch are being turned into a documentary that will be released soon. The Red Couch sat on Parliament Hill in Ottawa on Canada Day, and now is featured in the Museum of History, also in Ottawa. “To be alive during this monumental year in Canada, to have done a small part in celebrating this event, and to leave my mark in history was something I will always remember,” Jonathan says. It was his proudest moment and biggest accomplishment of his professional career. Jonathan’s unique Lunar Lounge designs have created quite the buzz, catching the attention of actor Mike Smith, also known as Bubbles on the Canadian television series Trailer Park Boys. Smith now owns three Orbit Lounge Chairs designed by Jonathan. “He [Smith] and Mr. Lahey [John Dunsworth], another character in the show, were featured and autographed on the Red Couch when it was on the East Coast this past summer,” Jonathan says. His furniture has also been used in a music video for local hip hop group Winnipeg’s Most, photo shoots for local photographers, and other events in the city. 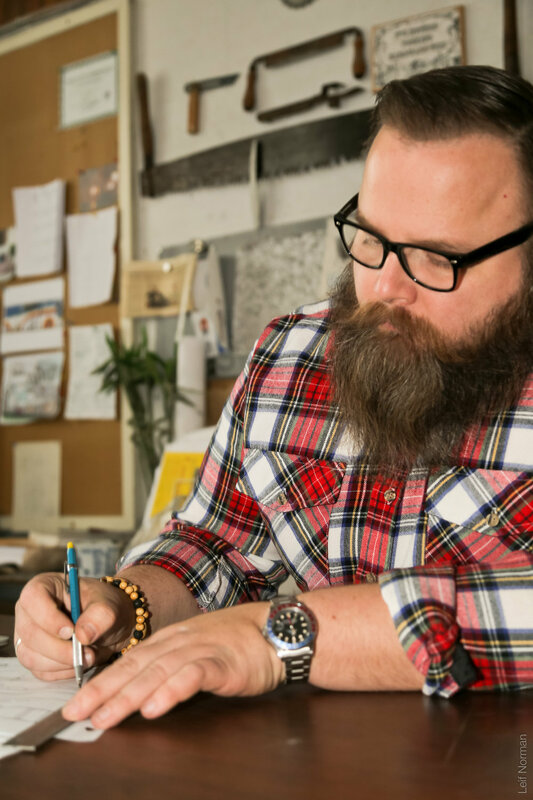 He believes that what sets his designs apart in the industry is that his designs are bespoke in nature and are completely customizable – from dimensions, to finishes and fabrics. Jonathan continues to create furniture. He’s looking forward to the release of a new seating line and a few collaborations with design companies in both Canada and Europe launching early 2018. The future is Lunar, so keep an eye out for updates on lunarloungedesign.com and follow @lunarlounge on Instagram.